Compared to wired systems, wireless offers far greater flexibility and convenience in home and building automation, as well as in industrial installations. In particular, battery-less energy harvesting wireless technology offers the added benefits of little or no maintenance and a sustainable power supply; two of the main reasons manufacturers (OEMs) and developers now consider this green technology for new product designs. The applications of energy harvesting wireless technology are varied, with different and individual requirements to achieve successful product development. To support OEMs facing this challenge, EnOcean has set up a cost-effective and customised development platform for fast integration of energy harvesting wireless technology into building and industry automation and smart homes, as well as machine-to-machine or transportation systems. The concept is based on several kits – ranging from a starter kit and programming kit to developer and thermo developer kit. Due to the modular concept, OEMs benefit from a higher flexibility in product development meeting their specific, product-related requirements and assure them a competitive edge. At the core of EnOcean’s modular developer offer is the EDK 350 developer kit covering the entire product range, from energy harvesting and wireless modules to ready-made product solutions. The developer kit’s central element is a universal programmer board. In combination with the DolphinStudio PC software, the board is used to configure and program Dolphin-based modules. The complete EDK 350 includes: TCM 320 (transceiver module); STM 300 (universal wireless sensor module); ECO 200 (mechanical energy converter); PTM 330 (transmitter module for ECO 200); PTM 210/PTM 215 (energy harvesting switch module, PTM 215 includes data encryption function); STM 330 (energy harvesting temperature sensor module); USB 300 (USB wireless gateway); DolphinStudio (configuration and programming software), and DolphinAPI (application programming interface). The package is completed by the DolphinView PC software for visualising and mapping the wireless protocol. The application profiles (EnOcean Equipment Profiles or EEP), now in the latest 2.5 version, can also be interpreted and sent using the kit. This enables the interoperability of new products with existing ones from different vendors as they can communicate seamlessly with each other or with other automation standards via gateways. The development kit offers a variety of energy converters and modules enabling the creation of energy harvesting wireless solutions. The TCM 320 transceiver module has already several pre-implemented features for building automation, for instance. The 1-channel relay mode is used to switch on and off a module pin. If developers connect a relay to this pin they can switch mains-powered devices such as lighting. The DolphinView software receives EnOcean telegrams via the USB 300 and visualises as well as interprets them. The PTM 210/PTM 215 push-button radio transmitter module enables the implementation of wireless remote controls without batteries. Key applications are wall-mounted flat rocker switches with one or two rockers, as well as handheld remote controls with up to four single push-buttons. The self-powered PTM 215 switch comes with implemented security functionalities for a secure wireless communication in smart home, security access control systems and other critical applications. It creates a 16 bit rolling code for each wireless telegram. The telegram header, telegram data and current rolling code in turn form the basis for generating a 24 bit message authentication code (MAC). The receiving system can use this code to check the authenticity of the data package. To enable easy integration of data decryption and encryption functions into existing products, OEMs can use the DolphinAPI function library and equip a receiver with data decryption functionality, for instance, to communicate with the switch module PTM 215. The duo of ECO 200 energy harvester and the PTM 330 transmitter module of the developer kit enable an entire system for battery-less wireless switch operations. The mechanical energy converter ECO 200 converts mechanical energy into electrical energy, which it makes immediately available. With an energy output of 120µW, a stabilised voltage of 2V and the wireless battery-less module, it is possible to transmit three radio telegrams per operation. This energy conversion can be used for functions such as door and blind control or light control and dimming. 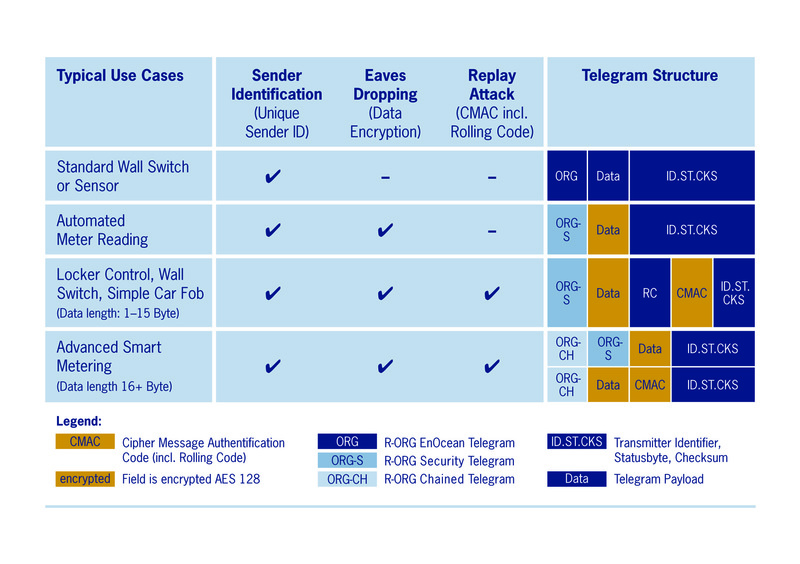 Figure 1 gives an overview of the security functions available. The maximum allowed contact travel of 0.04 inches enables a typical completion of more than 300,000 switching cycles. With shorter contact travel (the converter switches after 0.03 inches of spring deviation, at the most) significantly more than a million switching cycles are possible. This means a switch can be operated 100 times a day for more than 25 years. The battery-less PTM 330 wireless module can be connected to the energy converter by spring contacts, with no soldering and features four digital inputs to map up to four switching states. Additionally, an interface allows configuration of the content of the wireless telegrams during manufacture of a user device. Like every EnOcean wireless module, the PTM 330 has a unique 32-bit identification number to eliminate any overlap with other wireless sensors. Wireless range is up to 30 metres inside buildings and 300 metres in the open. This complete ready-to-go system eases the implementation of switching solutions enabled by energy harvesting wireless technology. Finally, the solar-powered STM 330 sensor can measure temperature in a room or on machinery, for example. This module is characterised by its extremely low-power consumption plus high reliability. If a measured value is transmitted every 15 minutes for instance, 3.6 hours of charging in daytime and 200 Lux are adequate for uninterrupted operation. With its energy storage mechanism fully charged, the module is functional for four days in complete darkness. The USB 300 bidirectional gateway transfers both measured data and switch commands to a PC, received and visualised over the DolphinView Basic software. In addition to the developer kit, the ESK 300 starter kit is a part of the modular offering for developers. The starter kit is ideal for initial tests and offers a basic approach to product design-ins using energy harvesting wireless technology the first time. The starter kit contains a switch module, components for different switch applications, a temperature sensor module, a USB gateway and PC software for visualisation. If configuration, hardware or software development is required, the ESK 300 starter kit can be upgraded to the developer kit at any time via the EPK 350 programmer kit consisting of the universal programmer board, a transceiver module and the universal sensor module. Furthermore, developers can extend the EDK 350 developer kit with the EDK 352 thermo developer kit. This includes the STM 312 energy harvesting wireless sensor module and the ultra-low voltage ECT 310 DC/DC converter in conjunction with a Peltier element to power EnOcean modules by differences in temperature (Figure 2). Temperature differences contain a lot of energy. Just the cooling of a drop of water by 1 degree Celcius releases enough energy for about 20,000 EnOcean wireless telegrams. That is enough to operate not just a wireless sensor but even a number of wireless actuators. The energy is delivered by thermo generators. But such low-cost Peltier elements have a pronounced drawback, namely that they only produce very small voltages of about 10mV per degree Kelvin. Electronic circuitry connected to this, a sensor module for example, needs a typical supply voltage of 3V. The ECT 310 DC/DC converter closes this gap. This optimised oscillator starts to resonate at 10mV input voltage; at 20mV or more (i.e. about 2°C) a useful output voltage of more than 3V is generated. To enable this high converter efficiency of 30%, the output voltage is only roughly regulated to less than 5V over the entire input voltage range up to 500mV. This is similar to the unregulated supply voltage from solar cells. The modular development kits structure offers more flexibility in product development. Manufacturers can further develop existing products with ease and, at the same time, open up and react quicker to new fields of application for energy harvesting wireless technology using all three energy sources.